off orders of $109.00 or more! This coupon is worth $15.00 off your total order. Some exclusions apply, including gift vouchers and manufacturer restrictions. 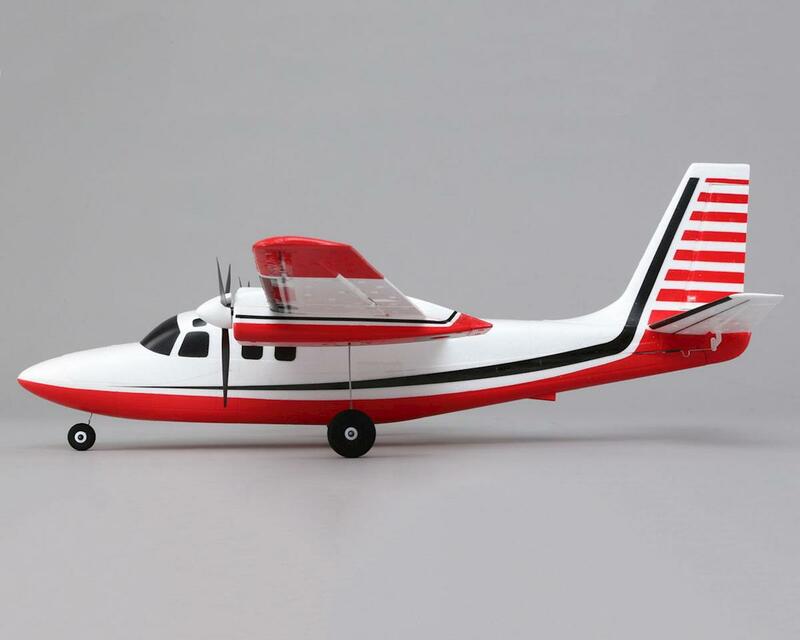 The E-flite Ultra-Micro UMX Aero Commander Bind-N-Fly Electric Airplane is a UMX replica of the full size Aero Commander. 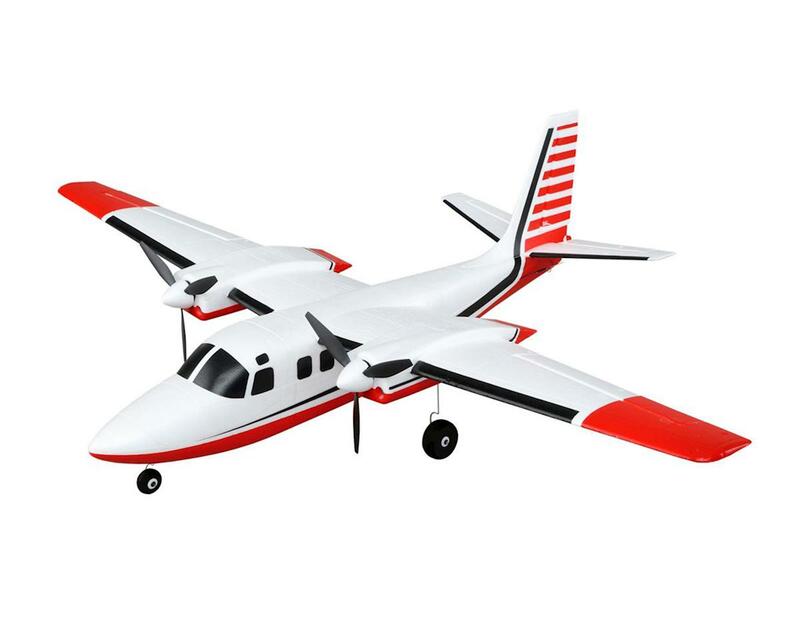 The E-flite UMX Aero Commander brings the twin-engine icon to life with bountiful brushless power, aerobatic capabilities and exclusive AS3X technology for an overall flight experience that feels rock-solid enough to double your ultra-micro fun. 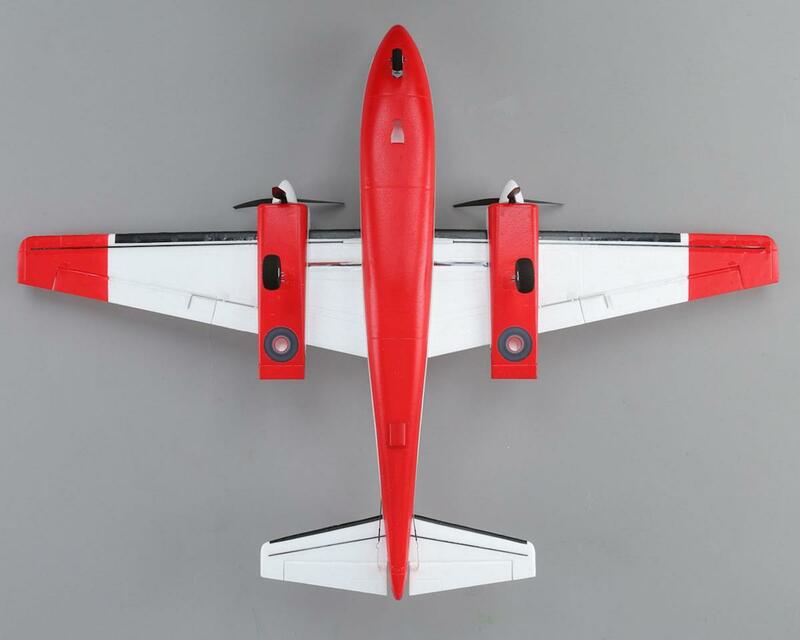 Despite the dramatic wing and tall vertical fin, this beautiful twin-motor model comes out of the box fully assembled so you can get into the air quickly. The lightweight airframe boasts a carbon-fiber reinforced wing for added durability and performance. Careful attention to the scale outline highlights a detail list that includes panel lines and a vivid three-color trim scheme. The powerful twin-motor power system features a pair of brushless outrunners and three-blade props to deliver that exciting multi-engine sound. 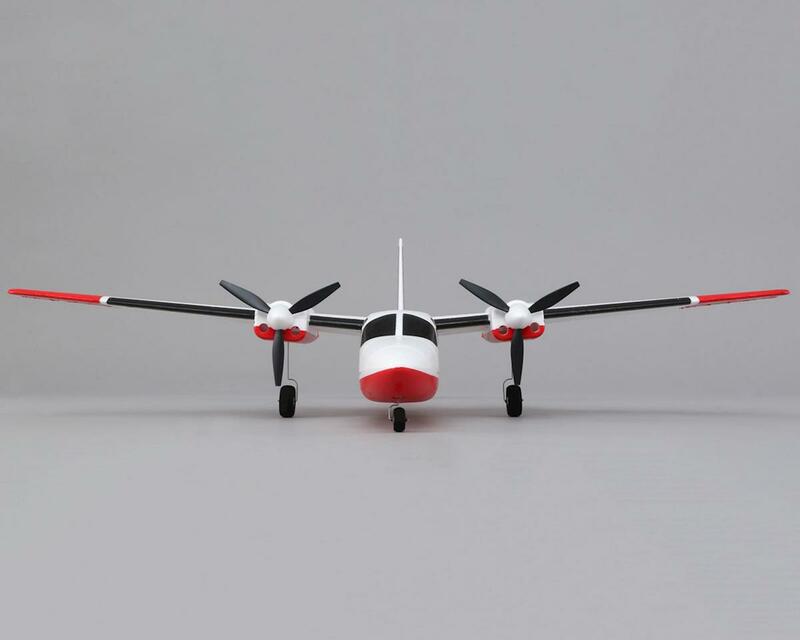 The removable wire landing gear includes a steerable nose wheel for outstanding ground handling. 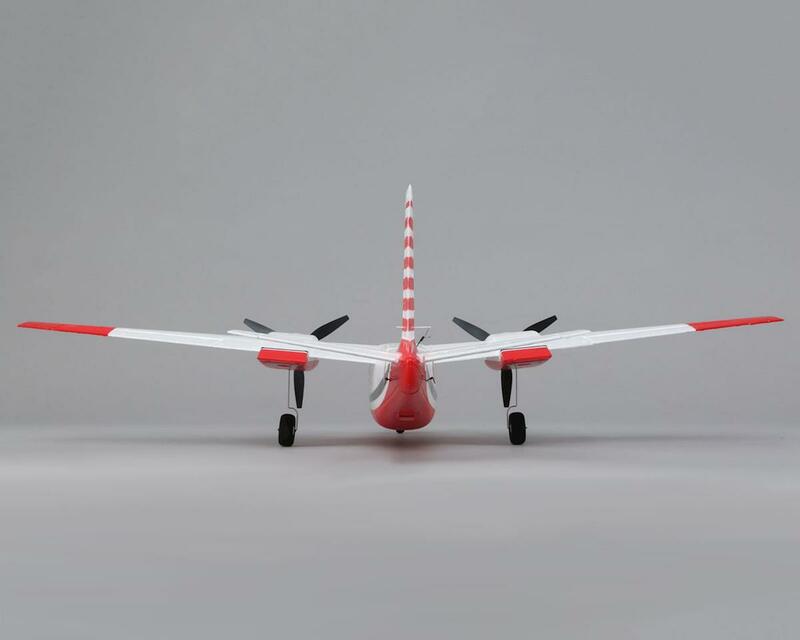 Independent linear servos provide the accuracy and performance to enjoy sport aerobatics such as point rolls and big loops with precision while AS3X® technology delivers the ultimate in control, even if it’s a bit windy. The AS3X technology built into the receiver works behind the scenes to smooth out the effects wind and turbulence can have on the airplane in flight. 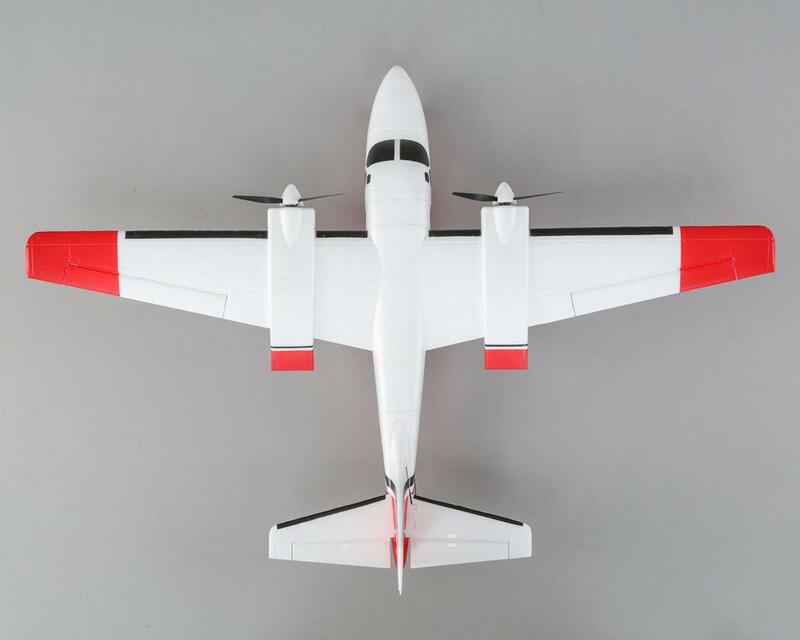 The result is a sense of stability and precision that makes you feel like you’re flying a much larger airplane. You can use a 2S 450mAh LiPo battery pack to achieve flight times of up to 10-minutes. There's ample room for a 2S 800mAh LiPo battery that can deliver flight times of 15- to 20-minutes.